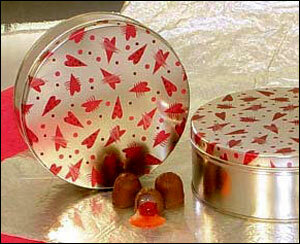 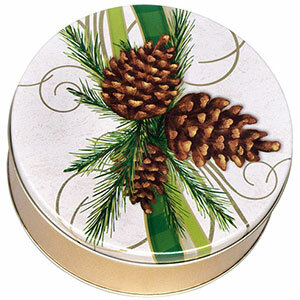 Our small size decorative tin, (6 11/16″ x 1 13/16″), available with your choice of either flavored or chocolate covered pecans. 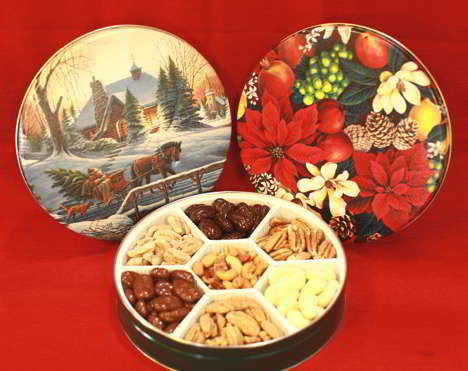 Candy tins are our medium size decorative tin, (7 3/16″ x 2 5/8″), available with your choice of either flavored or chocolate covered pecans. 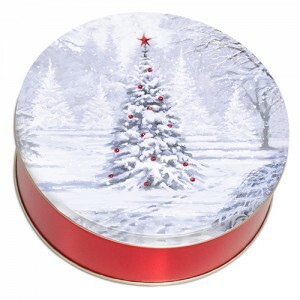 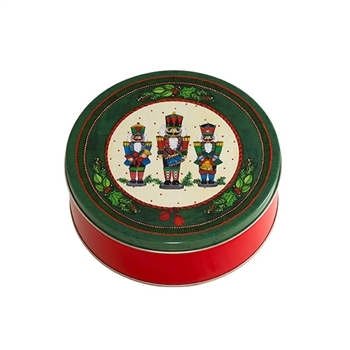 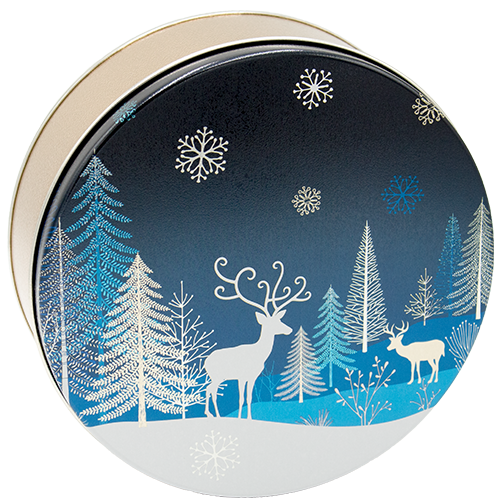 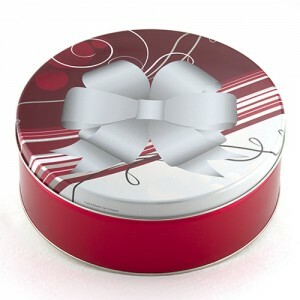 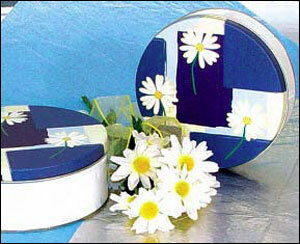 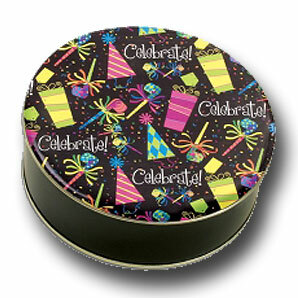 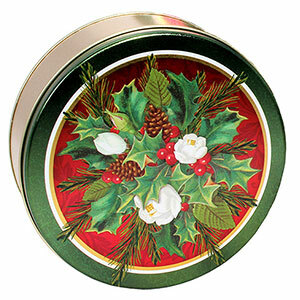 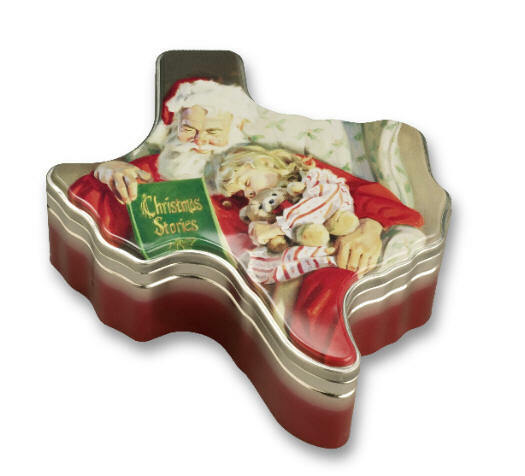 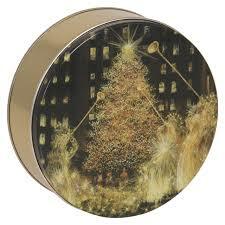 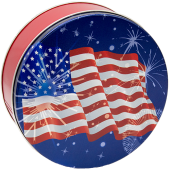 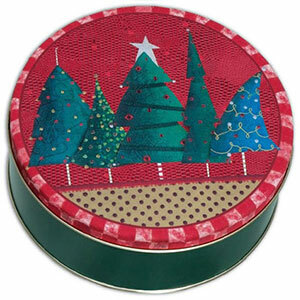 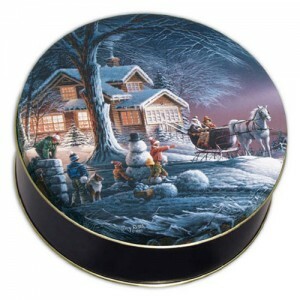 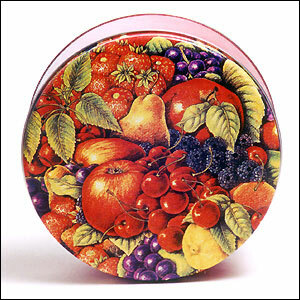 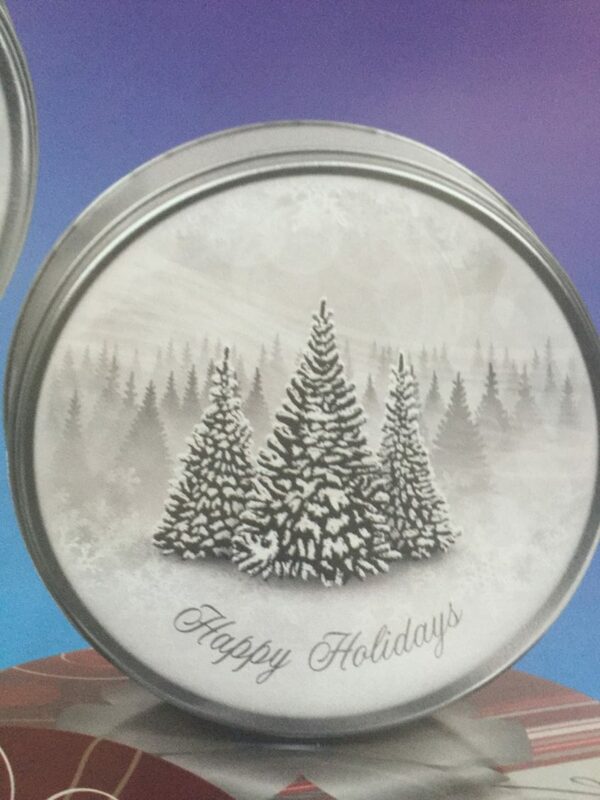 Holiday tins are our large decorative tin, (8 1/8″ x 3″), available with either 2 lbs. 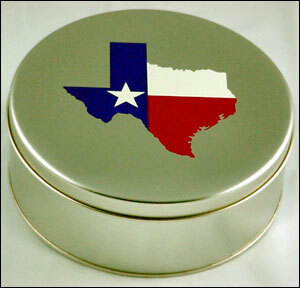 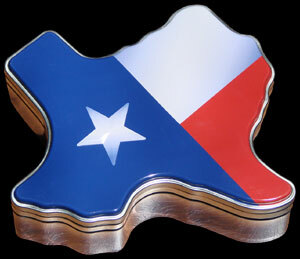 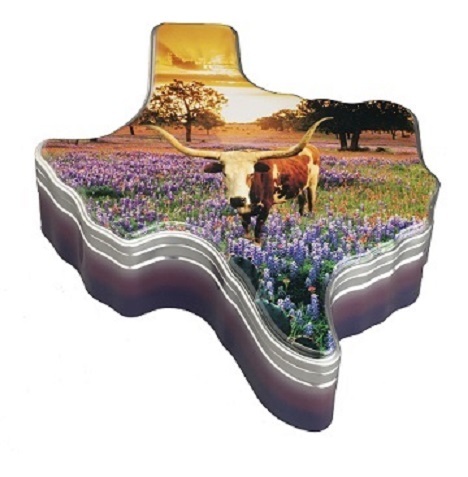 of Mammoth size Pecan Halves, Pecan Supreme mix, or a 3 or 4 partition tin with your choice of flavored or chocolate covered pecan halves.